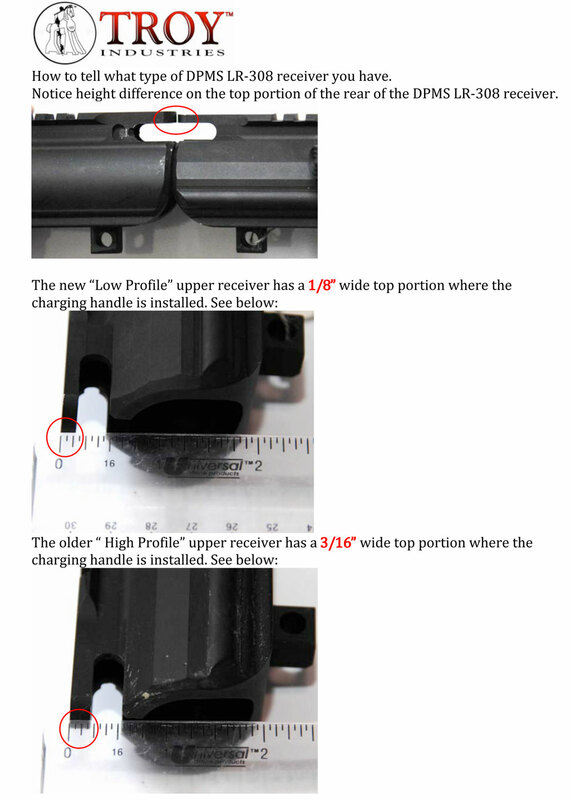 There is a lot of confusion surrounding DPMS changing the rail heights of the DPMS LR-308. Time after time guys aren’t aware of this issue until after purchasing their weapon and replacing the free float handguard only to find the rail on the receiver and the handguard dont line up. The confusion that follows is “Which height do I have”. Fortunately Troy Industries created a visual comparison to sort it all out. Once shooters establish they have the current rail height they are disappointed that they cants find a handguard that fits their new weapon correctly. Well that’s beginning to change and the second purpose of this page.